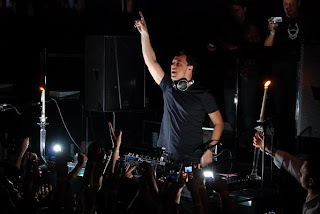 While trance music is not nearly as popular now days (or so it seems), as electro or house, Markus Schulz continues to draw hundreds and thousands of people to his shows every year. Sitting comfortable at #8 in the Top 100 DJ rankings, Schulz continues to produce the hottest tracks, reminding us why we love trance in the first place. Although this song is old, it is by FAR my favorite Schulz track! For you lazy bstrdz, the main build up starts around 4:30....but as usual, I highly recommend listening to the track from start to finish!